It can be difficult to stay competitive in an industry that requires meticulous accuracy of data and shipments in a timely manner. An advanced EDI solution can mitigate the frustrations and hurdles that come with other EDI systems. 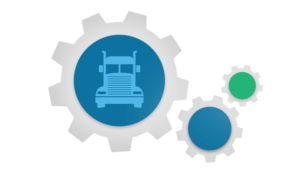 Offering real-time processing of incoming and outgoing shipment EDI data will remove the stress of EDI for Transportation. EDI HQ is an advanced EDI solution that is built to withstand current and future data needs, as well as the high availability and reliability that the transportation industry demands. HQ is designed to notify you when attention is required. Load tenders can be monitored and notified promptly via text message alerts if any issues occur, preventing missed or lost business opportunities. HQ includes file-based triggers that allow real-time communication of your transactions. Critical, time sensitive documents will be processed immediately, eliminating any interruption of service to you or your trading partners. HQ even allows for a parallel mapping feature to easily handle the volumes of transactions. Legacy EDI solutions can take weeks to onboard a new trading partner, but with HQ, onboarding can be completed in as little as one day! The integrated search capability of HQ also saves you time when looking for shipments and invoices. Accuracy of your transportation data is just as important as timeliness. HQ allows you to easily customize your maps to incorporate the business logic that will ensure you are paid from the first invoice submission. In addition, start receiving your payments electronically and further improve your order-to-cash cycle. Manages ANSI ASC X12 EDI transactions sets including 204, 211, 214, 990 and more. Learn more about our time and money saving HQ solution today.